Ashram Vienna (Austria), 9 June 1988. Radio Interview. Ashram Vienna (Austria), 9 June 1988. Interviewer: I am here for the Austrian Broadcasting Corporation. don’t mind, I was a little late to come here. Interviewer: Oh, never mind, it’s okay. So I will place this here if you don’t mind (ed: microphone). 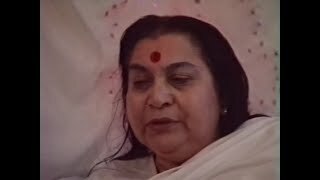 Shri Mataji: It’s all right.